WOMEN’S CLUB OF FARMINGDALE TRAVELS TO WASHINGTON D.C. 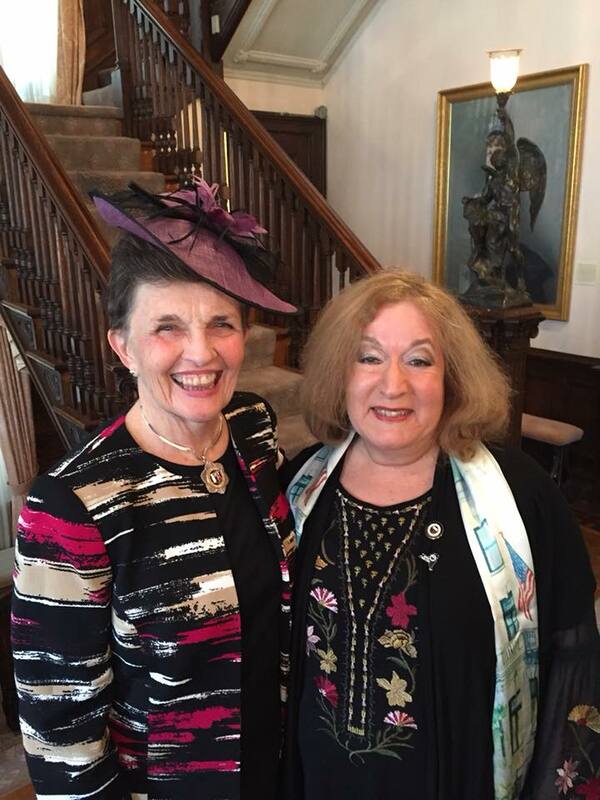 In March 2018, WCF members and friends traveled to Washington, D. C. to celebrate Women’s History Month at the GFWC Washington headquarters. Through the efforts of President Tina Diamond and Congressman Peter King, they were able to take a tour of the White House and then attend a presentation at the GFWC headquarters given by Dr. Marjorie Spruill, a Distinguished Professor Emerita at the University of South Carolina. She specializes in women’s and gender history and the history of the American South. Dr. Spruill discussed her most recent book, Divided We Stand: The Battle Over Women’s Rights and Family Values That Polarized American Politics. Divided We Stand focuses on the women’s movements of the 1970s, particularly the federally sponsored International Women’s Year (IWY) conferences of 1977, in which GFWC participated. In addition to visiting the White House and our "home" in Washington, D.C. the women visited the Smithsonian Museums, the National Cathedral, an illuminated monuments tour, a stop at the WWII memorial, the Vietnam Veterans memorial, Arlington National Cemetery and a walk through the Library of Congress. It was a fun-filled, packed, three day trip!